Have the terms distracted us from the vital importance of making every person who rides a bike visible? It’s exciting to realize that our original claim may need revising. So-called invisible cyclists are increasingly recognized by and represented in mainstream bike advocacy organizations. We look forward to critical dialogue around the declining relevance of these terms and constructive dialogue around the evolution of new types of framings and terminology. Whatever our terms, we want to keep drawing attention to at least two important concerns. We wrote about both of these in “Lessons from the Green Lanes? Listen to Communities of Color,” but they bear repeating. When we measure who bicycles, which we do often in order to justify investments in infrastructure, we need to be more creative so that we also count bicyclists not using infrastructure intended for them or who are riding at unusual hours of the day. Bicyclist intercept surveys, a popular method of both bike advocacy organizations and transportation planners, are often conducted where we tend to see the most bicyclists. Bicycle counts are usually conducted during the morning and evening “rush hours” when white collar workers on 9-5 schedules happen to be riding. Both methods leave an important constituency uncounted. 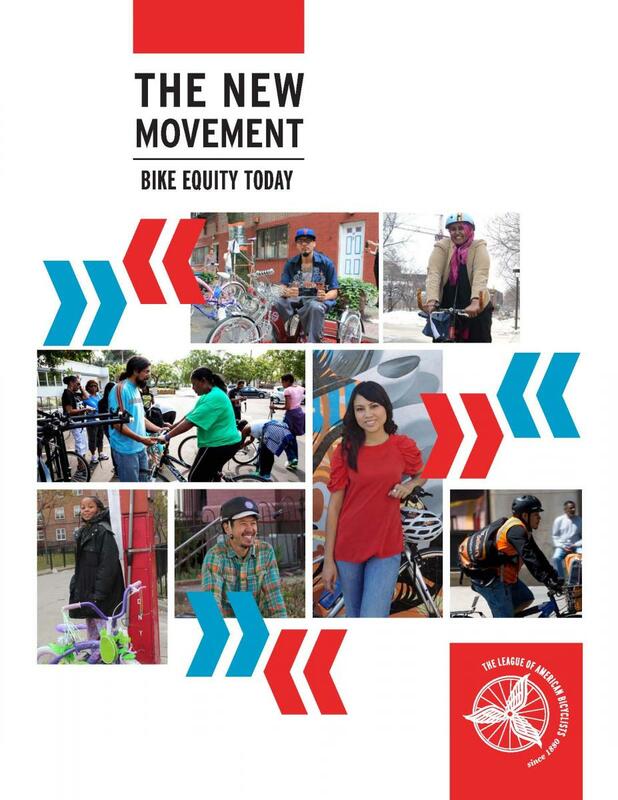 How do we bridge from diversity in bike users to equitable bike advocacy? This entry was posted in Bicycle Advocacy and tagged bike advocacy, Bike League, Invisible Cyclist by Stephen Zavestoski. Bookmark the permalink. To elaborate on your point about the new-bicyclist bias, bear in mind that the number of “interested but concerned” people is usually more than 50% of the population. This is great for bicycle advocates who want to demonstrate that a majority of people are interested in bicycling, but it doesn’t give them a lot of guidance as to which groups to target first. So when we combine this fuzzy focus with the fact that infrastructure is seen as the only arrow in authorities’ quiver that can get people into the bicycle saddle, we get results like “bicycling population increased along this new protected corridor because it’s now safer.” But infrastructure costs money, so it tends to go where the authorities want it, which may not be the places that would give the biggest boost to the more invisible and marginalized cyclists among us.